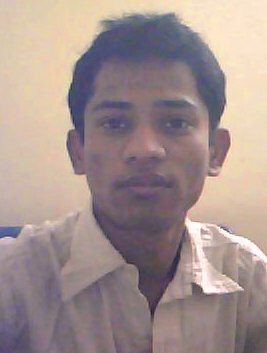 I am Mani from India. My wife's name is Raaji Scharla. As per name numerology, my name is in 11 and her name is in 18. 11 is 2 and 18 is 9. As it has the conflict of 2 and 9, will it affect our lives? I tried hard to do business but could not succeed. I took help from name numerology and one numerologist advised me to choose cool drinks as it suits my Moon and one in Garments as it suits my wife's first name Raaji in 6 ruled by Venus. I tried two business lines one in the cool drinks as Moon favored coolness and I had my business name as Sunrise Beverages. I did garments business in the name of Chandhni Garments as Venus in the name of my wife Raaji favored Garments. But I failed miserably in both business lines. Can you kindly advise me what to do now? Can name numerology help me? I am quite confused and I am afraid to take further numerology advice from any one. Sunrise Beverages comes in 25 +32 = 57. It does not help business growth. To have your first name in 25 or Ketu also does not help business growth. The word Sunrise is contradictory to coolness which you associate with Moon. Mani. Therefore as per name numerology findings, this business was sure to wind up and fail. Your second business also failed because your first name Chandhni refers to Moon (2) and comes in 29 which is again 2 which is inimical to your wife's second name in 9. The total also comes in 56 which is Moon and it is inimical to your wife's 9. The second name Garments in 27 is also inimical to Chandhni in 2 and to your name Mani in 2. As per name numerology, your personal name must be in harmony with your business name. When there are so many internal conflicts between your personal name and business name, your business is sure to fail. It is not good to have 2 in your name and 9 in your wife's name. Both should correct your names. Then only your business will prosper. When your personal name is defective, or both your names are defective, how can a business name work for you? As per name numerology a business name must be in harmony with your personal name. If your own name is defective, it is impossible to design a perfect business name. That is why you failed in both business lines. The very name Sunrise is defective. Beverages is another defective name. You must always take professional and expert help to design a business name. Otherwise you will burn your fingers. This is a basic lesson in business name numerology. My name is Surendra. My name numerology is that I am from a poor family but money problems are more. I am suffering for money. I am interested for building construction job. If you want to own a house you must buy it or build. For that you have to take the correct advice. Likewise, if you want to enjoy in your life, you have to correct your name first. Then only you will have money and other comforts.